To copy Thomas’ phrase this book is all about moving from a “colleague to client” perspective and it delivers a proven approach. It is a manual of stimulating and invaluable skills that all support functions who are desperately seeking to deal with the pressures of outsourcing and the “value-added” questions can use on a daily basis. IT, HR and Finance professionals can all benefit from his real life and practical approach. I thoroughly recommend it. If you want a book that you can use on an almost daily basis then this is it. Whether you work in information technology, finance, HR or indeed any corporate advisory role the skills outlined in this book can increase your influence and impact from the first reading. Written in the pragmatic style and approach that is characteristic of his consulting work Thomas has produced a real guide to new frontier of internal consulting. 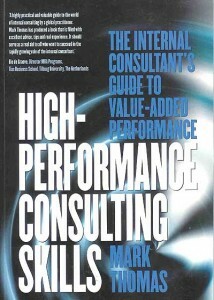 A highly recommended addition to defining and developing the internal consultant’s role. Mark Thomas offers a clear operating mandate for the change agents of today’s organisation. This book will appeal to all kinds of internal specialists as it is packed with practical ideas and approaches. In a world of constant and rapid change and intense global competition probably the greatest resource a business are it’s people. 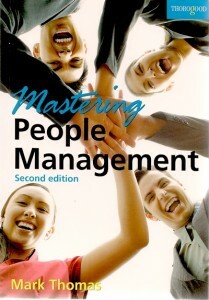 Mastering People Management sets out how to build and develop successful teams by motivating, empowering and leading people. 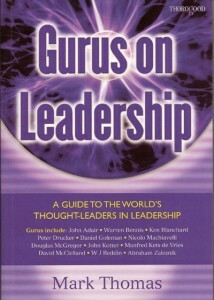 It provides a practical guide to some of the core people management techniques. The book includes a wide range of practical checklists, tips and key learning points. 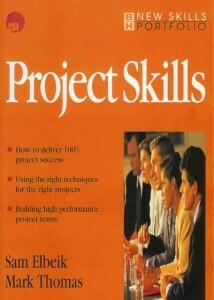 Project Skills describes the best of the accepted project management techniques, taking the guesswork out of deciding which ones to apply at which stage. The scale of of project management has developed over time into a fairly precise set of of techniques, definitions and practices that are applicable to running lots of business initiatives and challenges. As more and more of these projects are being handled by non-specialist project managers the book provides a practical and accessible guide to managing projects of all sizes across all industries. Some of our books are also available in Spanish, Italian and Mandarin. © 2009, Performance Dynamics Management Consultants. All rights reserved.